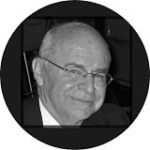 John Michel is a widely recognized expert in culture, strategy and individual & organizational change. An accomplished unconventional leader and proven status quo buster, John has successfully orchestrated several multi-billion dollar transformation efforts. He has dedicated over 26 years of service to America as a former United States Air Force Brigadier General and former Chief Strategy & Innovation Officer and President of MV Global for MV Transportation, the largest privately help transportation company in the United States. 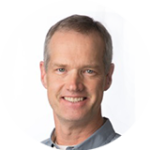 John’s work has been featured in a wide variety of articles & journals, including Harvard Business Review, Washington Post, National Geographic, Joint Forces Quarterly, Huffington Post, Switch and Shift and Innovation Excellence. A lifelong entrepreneur and avid learner, Smith has created, operated and scaled a wide variety of successful hospitality and retail businesses including Polly Esther’s and Culture Club entertainment venues as well as multiple retail locations of the popular Right-On Futon in Chicago, IL. Most recently he founded, built and scaled the Matchbox Food Group which currently has 15 units in California, Maryland, Texas, Virginia, and Washington, DC. In 2013-2014 Smith founded Emerson Byrd, LLC and The Avalon Institute, innovative incubators dedicated to mentoring, assisting and investing in small business start-ups and professional development. He has a particularly strong interest in developing millennial leadership strategies, strategic coaching tools and elite performance for clients in the DoD and amateur and professional athletics. Perry Smith graduated from Lehigh University with a BA in History in 1987 and received an MA in Communications from New York University. At Lehigh, he was a member of the 1-AA Football team, the Phi Alpha Theta Historical Honor Society and Chi Psi Fraternity. At NYU, Smith was an assistant to the Sports Information Director, graduating with honors in 1992. 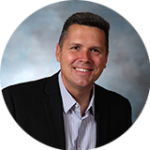 Matthew T. Fritz is a leader and mentor in the field of complex organizational change, emotional intelligence, and organization strategy. A successful DoD senior-acquisition program manager and test leader, Matt has earned documented success in the areas of test and evaluation, assessment, technology development and flight operations. He has specialized experience in cost, schedule and performance management and is an active duty Field-Grade Officer with command-experience in the United States Air Force. 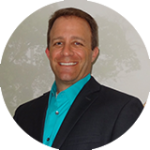 Matt is also a certified acquisition professional, as well as a certified Emotional Intelligence Trainer/Practitioner. 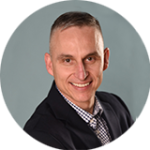 He is the Author of an instructional book entitled, “Leveraging Your LinkedIn Profile for Success” and actively blogs with other military leaders at GeneralLeadership.com, as well as his personal blog at AdvancedVectors.com. Mishe Serra is a proven leader and expert in educational design and social perception. As a thought leader and entrepreneur, her unique academic and business background bring together the diverse worlds of design, leadership and applied social psychology. Her experience includes nearly 20 years of dedication as a public and private school: teacher, administrator, consultant, and senior level leader. With her masters and doctorate in education from the Harvard Graduate School of Education in the Urban Superintendents Program, much of her educational leadership has focused on scaling complex change within some of the nation’s largest urban school districts. Mishe’s current work is also informed by her post-doctoral study of neuro-feedback; she is committed to rethinking and accelerating leadership development for leaders at all levels and across all generations. 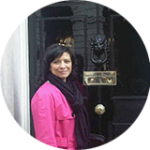 Sonal has twenty years of extensive and diverse experience in accounting & finance roles. Sonal began his career with PriceWaterhouseCoopers and then moved into the start-up world during the high-tech boom of the late 1990’s. Sonal has balanced and enhanced his entrepreneurial experience through internal audit roles with a Fortune 500 company (Macy’s) and both for profit and not for profit international organizations. 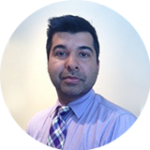 While Sonal is a “numbers guy”, he has a strong interest in understanding operations and business strategy, allowing him to speak to the numbers in a non-technical way. The controller at a Fortune 500 company referred to him as an auditor that “understands” – a testament to his ability to think outside of the check boxes and apply intelligent reasoning to the “rules”. Sonal was instrumental in maintaining financial stability and profitability as the head of accounting and finance for a highly successful restaurant group in the Washington D.C. metro area. He helped the business grow from annual revenues of $13M to $50M in his 4 years with the company. Sonal received his Bachelor of Science from Tufts University and his MBA from Boston University. When he is not “crunching numbers” or studying leadership and business strategy, Sonal can often be found passionately cooking for his family and friends. Catie Hargrove is an expert leadership consultant, coach, and organizational development professional with nearly 20 years of experience in government, military, nonprofit and private sectors. 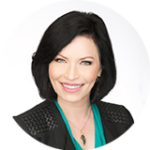 As a highly sought after executive coach and advisor Catie works with executives in virtually every industry to help her clients create a roadmap for success to lead with more awareness, presence, decisiveness and resilience. Her coaching centers on how people use decision making, communication and presence to build trust, engagement and drive results. Catie’s coaching clients include individuals, groups and executive teams. Catie speaks widely to corporate, professional, government, military and university audiences. Those who attend her keynotes and workshops find her advice to be practical and immediately actionable. Her direct, no-nonsense approach, mixed with a healthy dose of humor, ensures people walk away from the experience, energized, focused and determined to lead with their true purpose. Catie’s work blends her passion for leadership with genuine enthusiasm for helping people achieve their leadership ambitions. 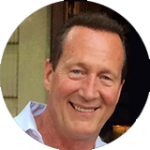 Joe Dingman is an accomplished leader and recognized expert in team building and complex organizational change. After serving more than 20 years in the US Air Force, Joe became the architect, operations, and business development lead for MV Transportation’s Patriot Express – the first scalable, multi-million dollar on-demand ground transportation system for the Department of Veteran Affairs. While in the Air Force, he served in multiple senior leadership positions to include the Air Force senior advisor to the Immediate Office of the Secretary of Defense and commanded a worldwide mobility airlift squadron. Joe is a graduate from the US Air Force Academy and holds Master’s degrees from Georgetown University’s McCourt School of Public Policy as a McConn scholar and Embry Riddle Aeronautical University. Joe is active in his local community in multiple capacities and is the co-founder of the Department of Defense Corporate Coalition. Mike Klintworth has spent a quarter century in the United States Air Force, serving in a myriad of operational, management and strategic level positions. His experiences span from air traffic controller to executive level leader of large, multi-national and geographically separated organizations of more than 3,000 personnel. Mike’s numerous accolades, to include two at the national level, validate a sustained record of success in leading, team building, affecting organizational change and managing human resources in volatile, uncertain, complex and ambiguous environments. 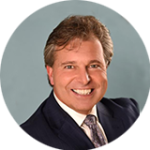 He is a sought-after leader, motivational speaker and contributing author for The General Leadership Foundation. Chris Lum is a high achieving Millennial who is widely recognized for his empowering leadership style, delivering high-impact projects, and for possessing a relentless work ethic. 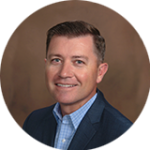 He has over three years of experience in the field of Supply Chain Management for large retail and automotive companies; His leadership on numerous corporate projects resulted in more than 500K cost savings for his employers. 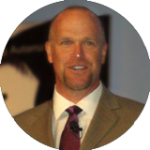 He has also worked extensively within collegiate athletics in developing student-athlete’s leadership skills and implementing systems for achieving high performance with players and coaches. 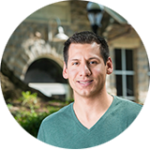 Chris recently completed a Master’s of Engineering in Technical Entrepreneurship at Lehigh University where he also received his undergraduate degree in Supply Chain Management. He is currently dedicating his time to three separate ventures including: a summer project with a start-up company in the TechTown Detroit Accelerator, organizing and coaching quarterback camps, and delivering Millennial Leadership by a Millennial workshops for high-profile organizations that desire better Millennial engagement and empowerment. 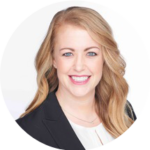 Erin Matyus joins the Avalon team with more than a decade’s-worth of experience in leading, motivating, and managing Millennials. As a current collegiate athletics and leadership coach at Lehigh University, Erin is responsible for recruiting top talent from across the country, helping those individuals develop into better versions of themselves, and empowering them to be active, passionate members of their community. A Millennial herself, Erin’s extensive work with teams of young people while managing the expectations of often-older Administrators and age-variant coworkers has given her an inside track on the challenges that working across generations can present. She is excited about the opportunity to use her leadership training and tackle those challenges head-on through Avalon’s services. 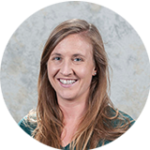 Prior to her time at Lehigh, Erin worked in the nonprofit sector after graduating from the University of Maryland in 2010 with a Bachelor’s in Animal Science. She was a three-year captain of UMD’s varsity Cross Country and Track and Field programs and currently resides in Bethlehem, Pennsylvania. Holly Michel is passionate about bringing out the best in others. 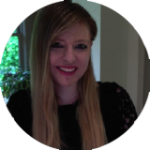 A trained Classical Acupuncturist and expert in Professional Dynametrics Program, she has worked with numerous non-profit, veteran, and faith-based organizations. Holly currently serves as the Chief Joy Officer at The Covering House, a facility providing refuge and restoration for sexually exploited and trafficked children and teens. She is also a sign language instructor and has spent numerous years working with and for the hearing impaired. 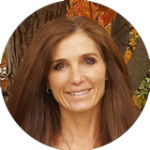 In addition to being an avid exercise enthusiast, Holly has completed advanced training in Classical Five Element Acupuncture, Medical Anthropology, as well as reflexology and neuromuscular therapy. Holly is also an award winning artist, kick-boxing instructor and private pilot who enjoys spending time with family and friends. At a Glance: I’m a coach, blogger and speaker who will help you understand your brain wiring better so you can lead more effectively. Beyond just energy and adrenaline, we work together to locate hidden motivators and take an informed, strategic and proactive approach so you can take your game to the next level. My key mantra is diversification. As a coach’s coach I have been in the field for 18 years. A life-long learner, I develop coaches in an accredited training program and also mentor student-coaches. The models I develop for teaching are the same I use with my clients. Overall, I show you how resourcefulness and resilience lead to truly meaningful results. Speaking : Key Speaking credentials include: International Coach Federation, National Association of Professional Organizers and ADHD Coaches Organization. Key Audience and Focus: All of my professional efforts (coaching, writing and speaking) are designed to support the Global Creative – leaders who are global in vision and creative in action. To that end I specialize in ADHD and follow-through and speak about mindfulness, accountability and breaking the urgency cycle. Award Winning Business Woman with more bounce back ability than a tropical palm tree! At a Glance: I’m an international speaker, author and business consultant who will positively disrupt your way of thinking. I offer professional and personal tools that you can implement immediately so don’t book me if you want to stay in your comfort zone! My key mantra is Resilience. I have worked with SME’s and Entrepreneurs for over two decades. I am regularly featured on British media and have appeared on The BBC, ITV, This Morning Show, and Cosmopolitan. In addition, I have hosted hugely successful Celebrity Women in Business Events and organized various Business Roadshows and conferences across the UK. Speaking : Key Speaking credentials include: Address to the Prime Minister and staff at NO10 Downing Street, the Los Angeles Chamber of Commerce and Edinburgh University. Key Audience and Focus: My talks and seminars are designed to be accessible to mid-level executives to CEO’s, professionals, and entrepreneurs who wish to strengthen their business acumen and interpersonal skills while seeking an intense learning experience. Marc A. Ross is an expert in helping companies excel at the intersection of globalization and politics. Ross has extensive experience in business development for companies as well as leading the advocacy operations, fundraising programs and communications efforts for nonprofits, trade associations, corporations and political campaigns, many for the highest offices in the United States and the United Kingdom. Ross’ work in government relations allows him to work on a number of diverse public policy issues, such as global climate change, national energy policy, natural resource management, auto retailing, intellectual property, technology antitrust, US-China commercial relations, and international trade. Also, his experience working with several Internet startups and entrepreneurs has allowed him to wear many hats, including marketing, business development, finance, and strategy. He is the former communications director for the US-China Business Council (USCBC). For over five years, he was responsible for developing, enabling and executing a global communications strategy that delivered targeted messaging, trade reports, commentary, issue briefs, and a digital magazine to USCBC’s varied stakeholders utilizing various media tools with the intent of protecting and enhancing US-China commercial relations. Ross was the primary media liaison for USCBC and interacted daily with top-tier global media outlets, business reporters, columnists, editors, and producers based in North America, United Kingdom, Europe, and Asia who cover US-China commercial relations. 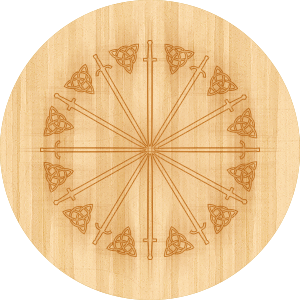 Ross is the founder of Brigadoon, a yearly gathering of entrepreneurs and thought-leaders, and an adjunct professor at George Washington University where he teaches a course on globalization and American politics. Ross is also a member of the U.S. Soccer Foundation’s DC Leadership Council focused on expanding the growth of soccer in the United States with a particular emphasis on underserved communities. Ross is a frequent speaker, commentator, and author on all matters of global business and public affairs, international communications and marketing as well as political campaigns. He has been a guest speaker at Wisconsin’s School of Business, Johns Hopkins University, Georgetown University, the University of North Carolina’s Kenan-Flagler Business School, Utah State’s Huntsman School of Business, and the University of Southern California’s Marshall School of Business on how politics impacts global business as well as the rise of new media for grassroots advocacy and political communications. Ross has an MBA with an emphasis on international business from the University of North Carolina’s OneMBA program at the Kenan-Flagler Business School. Donald Friedman is president of Old Structures Engineering, PC a B (Benefit) Corp based in Manhattan, NY. OSE is a structural engi­neering consulting firm for historic and old buildings, working for owners, preservation consultants, architects, contractors, and other engineers. 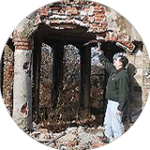 A professional engineer with over 25 years’ experience Donald is passionate about his work which includes in-depth investigation, analysis, and restoration of landmark buildings. While others see artifacts, he sees sustainable legacies that were built to last. Mr. Friedman holds a B.S. in Civil Engineering from Rensselaer Polytechnic Institute, an M.A. in Historical Studies from the New School for Social Research, and is a licensed engineer in New York, New Jersey, Pennsylvania, Connecticut, Vermont, Rhode Island, and Massachusetts. He is certified in the practice of structural engineer­ing by the Structural Engineering Certification Board (SECB). Mr. Friedman’s design experience includes the integration of modern construction into existing buildings with archaic and obsolete structural systems; repair and restoration of steel, masonry, iron, wood, and concrete structures; and the investigation of historic buildings to determine structural type and condition. Representative projects include Fort Jefferson National Monu­ment in the Gulf of Mexico; the landmark New York Marble Cemetery; Castle Clin­ton, the landmarked 1810 fort in New York, the 1848 John Street Methodist Church in New York and structural investiga­tion and repair to the tower of the landmark Church of the Holy Trinity in New York. In addition to Mr. Friedman’s project work, he has taught engineering of historic build­ings in the building conservation programs at the Rensselaer Polytechnic Institute and the University of Massachusetts at Amherst; he has spoken at numerous conferences on such topics as the structural analysis of masonry facades, and the failure of obsolete structural forms; he is the author of After 9-11: An Engineer’s Work at the World Trade Center, Historical Building Construction, and The Investigation of Buildings, and the co-author of Building the Empire State and The Design of Renovations. 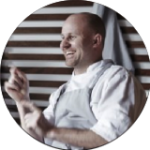 Executive Chef / Owner Frederik De Pue has emerged as a notable culinary talent, with an exceptional eye for detail and honest inspiration behind his food and menus. He translates his global culinary experiences into each dish he prepares and endeavors to create satisfying and sophisticated food. Frederik launched his culinary career more than 20 years ago. After attending the well-known cooking school of Hotelschool Ter Duinen, located in Koksijde, Belgium, the Belgium born chef trained and cooked under noted European chefs Alain Chapel, Alain Ducasse and Yves Mattagne. Frederik first came to Washington, DC in 2001 as the Executive Chef of the Ambassador to the European Commission Delegation. Since 2006, Frederik has earned a reputation for exceptional cuisine with the growth of his Catering by Frederik de Pue throughout the greater DC region. In 2013, Frederik opened Table, a restaurant located in Washington’s Shaw neighborhood. In a very short period of time, Table has earned praise for its thoughtful, French-inspired fare, and was nominated as one of Bon Appetit’s Top 50 New Restaurant in the country. In addition to his catering business, Frederik is in high demand as a consultant for many national restaurant concepts and hotels where he assists clients in all phases of operations as well as the creation of innovative menu concepts. In 2017 Frederik will launch his newest restaurant concept Flamant in West Annapolis, MD. Deb challenges the status quo, believes innovation & strategy are about Why Not/Why, AND, BOTH, not Either/Or and hopefully makes a difference! Deb Mills-Scofield’s consultancy helps companies create and implement actionable, adaptable, measurable, and profitable innovation-based strategic plans. Deb has been doing this successfully for 25+ years with service, manufacturing, and high-technology companies from large global companies to early-stage. She has also done some carve-outs, start-ups and start-downs. Deb asks her clients to match 10% of her fee to improve lives in their community. She is also a Partner at Glengary LLC, an early-stage Venture Capital firm in Cleveland. Deb has contributed to many books. She was a co-creator of Alex Osterwalder’s Business Model Generation and Value Proposition Design, has a chapter in Innovating Women: The Changing Face of Technology by Vivek Wadhwa and Farai Chideya, a contributor to Steve Denning’s book, The Leader’s Guide to Radical Management, Barbara Kimmell’s Trust Inc.: Strategies for Building Your Company’s Most Valuable Asset, and several other books. She regularly blogs on various sites in addition to her own, including Harvard Business Review, Switch and Shift, Innovation Excellence, etc. and is recognized as one of the top 40 bloggers and tweeters on innovation. 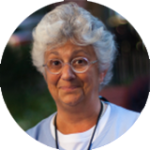 Deb is also a board member at the Business Innovation Factory and was a storyteller at BIF-9. Deb graduated from Brown University in three years, helping create the Cognitive Science concentration, one of the first undergraduate programs of its kind. Deb worked at AT&T Bell Labs where she designed and patented an integrated multimedia-messaging platform recognized as one of AT&T/Lucent’s top revenue generating patents. She was instrumental in spearheading AT&T’s strategies and execution into the Internet and E-commerce markets, AT&T WorldNet® Services. Deb is the recipient of the Barrett Hazeltine Prize in Entrepreneurial Mentorship at Brown University where she mentors in the Entrepreneurship Program, Brown’s Women’s Launch Pad Program, Social Innovation Fellowship, Brown/RISD STEAM Initiative and several Brown Students’ startups. She is a Visiting Scholar in Brown’s joint E-MBA with IE in Spain and on the Advisory Counsel for Brown’s School of Engineering, involved with many engineering student groups. Deb is also on the board of RISD’s DESINE-Lab. She has taught at Oberlin College, University of Pittsburgh’s Katz School of Business, CWRU’s Weatherhead School of Management and Vanderbilt University and is an Advisory Board Member at CWRU’s think[box]. Deb lives in Oberlin, Ohio with her husband, a Physics professor at Oberlin College and their two fabulous children. You can also find her on the coast of Maine keeping track of the tides. Growth Strategy Expert who is passionate about how technology can be leveraged to achieve progress. At a Glance: I’m a coach and media professional who will help you understand new pathways to innovate and accomplish your goals. Taking a progressive approach to growth starts with understanding ourselves better and devising strategies for playing to our strengths, as well as those of others. My core expertise is growing an engaged audience around meaningful content. I take an innovative approach to content creation and promotion, as well as data, emerging platforms and product development. Aligning a strategy with the way people use the Internet allows you to reach your target demographic with a message that resonates. My key mantra is Evolvability. We’re often capable of much more than we believe, we just need to adapt and grow to achieve our goals. Change can be scary or it can be something that’s embraced to produce success. Personal and professional transformation leads to results. Speaking: Key speaking credentials include: Wharton Women and Technology Panel on career development and the future of media and technology. Key Audience: My perspective is valuable to anyone who strives for improvement on an individual or organizational level. Evolving how we think, approach our days and relate to others enables us to maximize our effectiveness, efficiency and overall success. Elyse is a graduate of The University of Pennsylvania and currently the Head of Growth for Littlstar, a virtual reality distribution and technology company. Previously she was the Head of Growth for RebelMouse and Director of Global Growth Strategy and Deputy Managing Editor for The Huffington Post. To contact Elyse, please email info@avalonleadership.com . Kevin J. Kilb is a trusted, experienced senior executive, and retired Air Force Colonel whose leadership and command experience includes two aerial refueling squadrons, two airlift groups, two installations, and the only airlift wing in the Department of Defense tasked with the aerial movement of nuclear weapons. He commanded in peace and war, and at locations in the United States, the Middle East, and Asia, requiring deft communication skills, operational excellence, strict compliance, and change leadership. As the wing and installation commander of McChord Air Force Base, Washington, he led the base population through the implementation of Joint Basing, as McChord transferred to a combined military installation with the adjacent US Army Base becoming Joint Base Lewis-McChord. Deciding to retire from the Air Force following wing command at McChord to settle his young family home in Arizona and enter the business world, Kevin has provided his leadership and experience in early stage clean energy technology companies. He’s earned Masters’ of Science degrees in National Security Strategy from The National War College, and Aviation Management from Embry-Riddle Aeronautical University respectively. He also holds a Bachelor of Science degree in Business Administration from The University of Arizona. 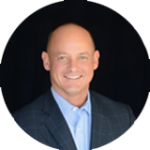 Kevin is passionate about leadership development, organizational excellence, education, and innovation and served as the President of the St Francis Xavier School Advisory Board, Arizona’s only Jesuit Elementary and Middle School. At a Glance: A unique and diverse corporate career in performance improvement involving both sides of the subject, human factors and business processes, has prepared me to offer entirely new perspectives for my clients. These perspectives, whether from coaching or in-depth quantitative analytics of a business, consistently generate new opportunities that would otherwise have never been exposed. I have been lucky enough to have parlayed a Mechanical Engineering degree from the University of Illinois into a successful career including: fast-track leadership path at Frito Lay, an executive and a recognized performance expert in the commercial nuclear power industry, the Director of Manufacturing at Oregon Steel Mills, the founder of two successful companies, Pilot Advisors, serving over 80 companies, coaching 165 executives, and presenting/training more than 15,000 participant leaders, and Profit Hawk Software, which is changing the future of the companies that decide to achieve their full potential. To leverage our message, Dr. Eugene Bryan and I have co-authored two books, Profit Hawks: Capture the Profits Being Lost every day to the Complexities of Your Business, and, The BestPossible Enterprise: A Comprehensive Guide to Optimal Profits. Jean Michel, a first generation emigrant from France, has served in various leadership positions within the Air Force in and out of uniform for over half a century. He has spent the last twenty five years developing the personal and family readiness of Air Force members and their families by providing them the skills needed to thrive in the military environment while coping with the demanding operational tempo. He served as the Air Force lead for a multitude of working groups chartered to develop programs and services to strengthen individual resilience, pre-deployment and reintegration preparation as well as suicide prevention. He was the architect for the introduction of the Air Force Comprehensive Airman Fitness (CAF) program which focuses on four pillars of fitness, Mental, Social, Physical and Spiritual. He was awarded a Master’s Degree in counseling from Hampton University and is a University of Pennsylvania certified Master Resilience Trainer (MRT). He is actively involved in his church and various service organizations in his community and most importantly with his grand and great-grandchildren. 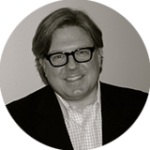 Kent Landreth is a leader and strategic mentor to individuals, organizations and foreign governments across the U.S., Europe, Africa and the Middle East–focused on foundational goals of self-improvement, increased organizational capability/capacity and long term sustainability. He has led multi-discipline, high-performance advisory teams providing customized training to assess, plan and implement change, creating positive organizational culture, financial stability and maximizing growth potential. As a strategic planner and acquisition leader, Kent used process improvement and innovative acquisition cycle management to bring several multi-billion dollar aircraft and logistical systems from idea to reality…on cost and on schedule. 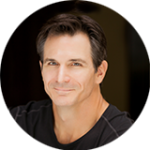 A highly decorated combat veteran, Kent is known for seeing clarity amongst confusion, finding innovative ways to problem solve and sharing his successes and challenges through his writings and lectures to better prepare individuals and organizations for success in a rapidly changing world.